To launch Google’s first ever branded laptop, we created a movement that called upon a generation of doers to get out there and GO. Google were making a move into hardware where there were only two real options; PC or Mac. But we weren't just trying to steal share, we wanted to launch this Google laptop into its own category. Our task was to make the Pixelbook aspirational to a young teen audience and rally loyal Google fans to the new device. Using the first two letters of Google we created the platform GO. A shout of encouragement for our target market - Generation Z - to keep doing what they were doing. Gen Z are a different breed to their millennial siblings: hard-working, resilient, and motivated. These kids have built serious momentum heading into adulthood... and we'd show that wherever they go, this is the laptop that can keep up. 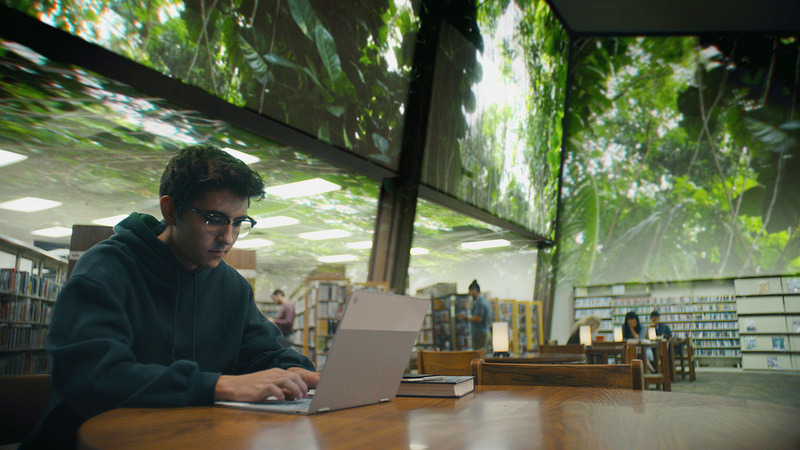 We positioned the Pixelbook as the ultimate tool for this generation to explore, learn and find themselves somewhere unexpected. Because they are the generation that goes. And now is not the time to stop. The campaign launched with a 60-second film shown at Google’s annual OI event, and was supported by digital video.